The following blog was originally published on Bodybuilding.com. Keeping it simple is often best. And on chest day, giving your best effort to a few exercises is often way better than trying to tackle lots of movements, but tiring out before reaching the finish. This workout is as bare-bones as it gets, but that doesn’t mean it has to be any worse than an eight-move gauntlet. Hit these three moves hard, with the intensity-boosters discussed here, and it can be plenty. Done right, these three exercises will blast every fiber of the pecs from top to bottom and the result will be bigger, stronger, and better pecs—and less wasted time. The incline machine press allows you to focus on the pecs without having to stabilize the weight. 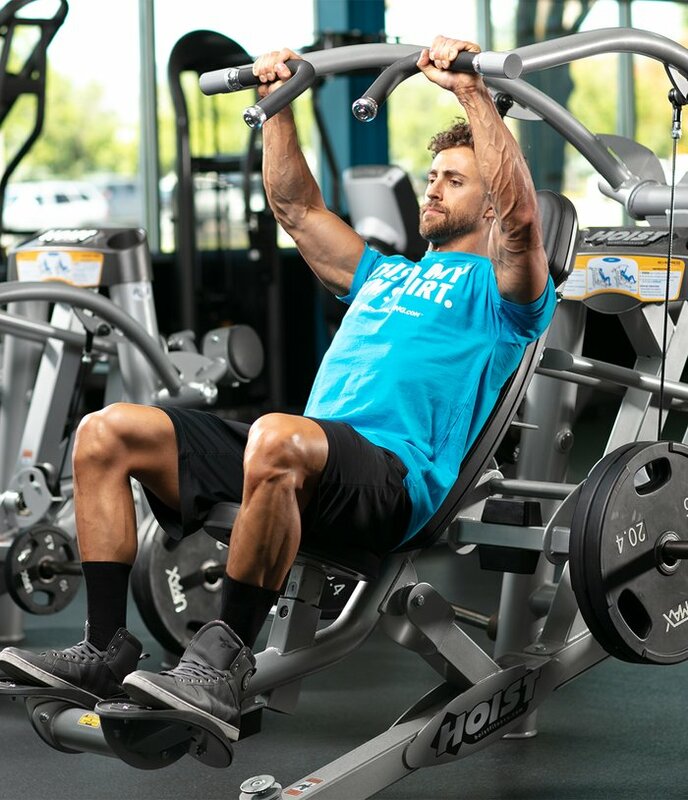 If your gym doesn’t have an incline press machine, use a Smith machine with an adjustable incline bench. If you do have access to the incline press machine, then use it. Remember, just because you’re using a machine doesn’t mean you can’t go heavy. Load up the plates and go for 8 reps with heavy weight, maintaining good form the entire time. To keep the tension on your pecs, don’t let your elbows lock out at the top. Once you reach failure, rest for 10 seconds and then try to get a few more reps before taking your full 60-second break. Do this for every set. 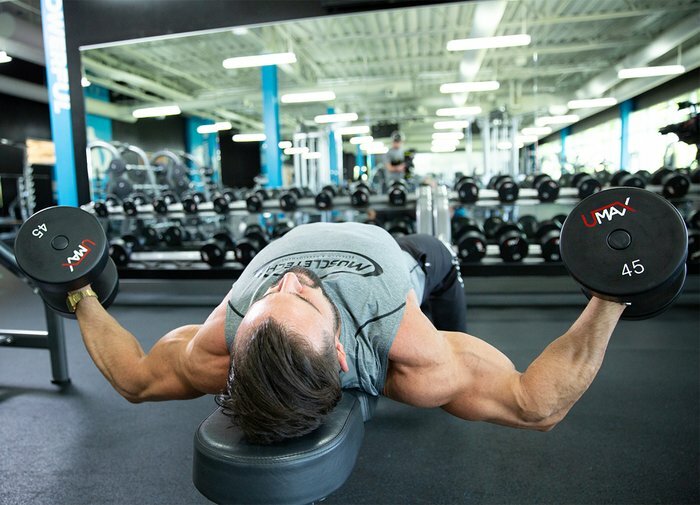 Rest-pause is a great way to add more volume and push your pecs to their absolute limit. Go for 5 sets on this exercise, but if you feel the job is done after 4, move on. Building your shelf is not just about pressing. Flyes improve flexibility, stretch the muscle fibers, and isolate the pecs without triceps involvement. I don’t want to encourage you to go light on this exercise, but keep in mind that flyes are not about using the heaviest dumbbells in your gym. You still want to be able to control the negative on each rep for a four-count. Fighting that resistance as the pecs stretch to lower the weight does much more for you than simply letting the weight drop and trying to jack it back up. Also, don’t just clang the weights together at the top—in fact, don’t let them touch together at all. Focus on squeezing your pecs and getting a good contraction. You can do this without ever letting the weights touch. Unless your body weight is enough resistance on its own, you’ll need to add more weight to your dips to maximize the effectiveness of this great mass-builder. You can either use a weighted vest, a dip belt with plates attached, or chains around your neck. If you opt for the chains, make sure you know what they weigh so you have an idea of how much you’re lifting. For this final exercise, you’ll switch gears and perform dropsets. Go for as many reps as you can get with the extra weight, and remember, if you can do more than 12 reps, go heavier. Once you reach failure with weight, remove the weight and proceed to failure again. Repeat this dropset for all 3 sets. If you can’t do dips with your body weight, use an assistant or a machine and simply add more help after the first failure.